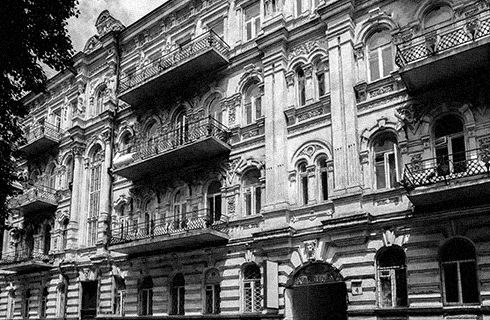 Senator Golden Gate occupies a building with an eventful history located on a street which was paved in the late 1890s and named Svyatoslavska after Prince Svyatoslav Igorevich, Grand prince of Kiev, who ruled in the 10th century. Afterwards, the street changed names several times. 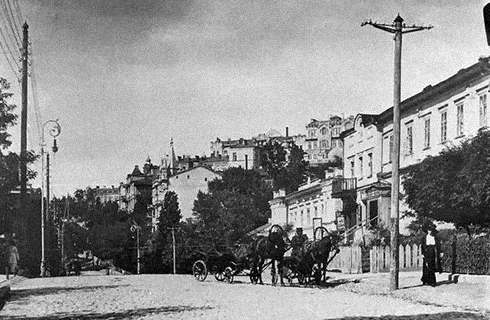 1899 – The construction of a 4-floor building as the main house of an upmarket residential complex on 4, Svyatoslavska Street. Apart from the main house, the complex comprised three outbuildings in the yard and belonged to nobleman Zmiyevskiy. The main building was made of bricks and featured a cellar. The whole complex served as a commercial property offering both living accommodation and working spaces. 1938-1941, 1944-2015 – The street was renamed after Vasiliy Chapayev, a Red Army commander. The building itself is an architectural wonder, from the Kiev Renaissance period with a strong historical character, designed by Russian architect, Nikolai Gordenin. The façade is adorned with various decorative elements: female half-figures, Corinthian columns, caryatids, stucco floral ornaments, pilasters crowned with Doric, Corinthian and Ionic capitals, knightly coats of arms, lion-masked cartouches and female mascarons. At the moment, the building to house the fourth Senator apart-hotel is under development.